Apple’s iPhone 7 has been battered for not making much of an upgrade from iPhone 6, other than the famous/infamous headphone jack removal. But the people who have been paying closer attention know that this is not entirely true. One of the key features that Apple has released along with their iPhone 7 is the “Messages” of iOS 10. The updated iOS has added some amazing features and outlook into the messaging features, giving you the ability to add new animations and other fun effects to your chats. But this hasn’t been in the spotlight since not all of the new features are easy to find. For example, the new “invisible ink” feature along with some of the other new messaging features are not immediately visible in the new Messages app. 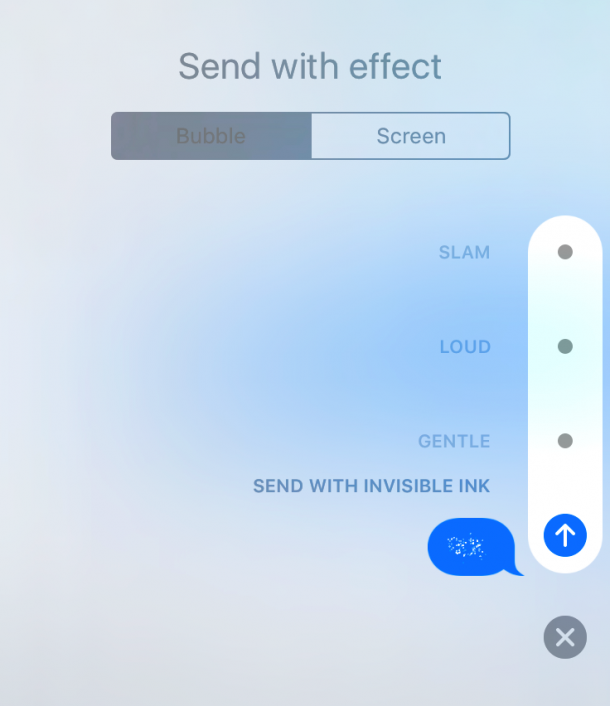 To avail the cool features like sending messages using invisible ink or sending other animations like balloons or confetti, you need to use 3D Touch or just hold down the send button to bring up the new and improved messaging menu. Of course, it is imperative to remember that these features only work with iMessage, and are not compatible with Android or any other type of device. Also, some of the newer additions will not function unless the recipient has updated their device to iOS 10. But despite all these prerequisites, it is quite a fun way to chat with your friends. Do you enjoy these new messaging features in the iOS 10? Comment below!